Shopping just got more rewarding! Make your dollars go farther this holiday season with AmazonSmile! 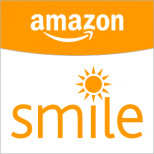 You shop and AmazonSmile gives to Hailey’s Hope Foundation! SAME PRODUCTS, SAME PRICES, SAME SERVICE as Amazon.com, but with an extra bonus–you can earn money for Hailey’s Hope Foundation! It’s a simple and automatic way to support Hailey’s Hope Foundation EVERY time you shop, at no cost to you. Plus, you can use your existing Amazon.com account. 1. Click “Get Started” in the banner above, or go to http://smile.amazon.com/ch/26-1387176. 2. Make sure that “Haileys Hope Foundation” is designated as the charity of your choice. (You only have to do this step once; your designation will be saved for future purchases). To double check, look to see that our name appears after “Supporting” at the top of your screen near the amazonsmile logo (if it is not, then insert “Haileys Hope Foundation” in the “Pick Your Charity” box). Now, you can feel better shopping, knowing that your purchases are doing a generous part in helping NICU families in need.